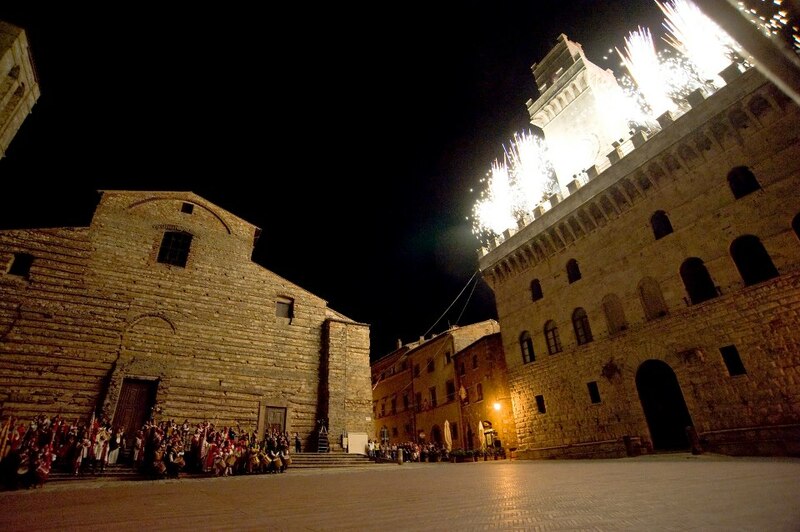 While June is certainly Pisa’s most action-packed month, August definitely has in store many events for Montepulciano. Kicking off on August 10th with Calici di Stelle (our previous blog) which unites stargazing with the excellent wines of the Vino Nobile Wine Trail, another wine tasting event pops up on the 21st: Cantine in Piazza. Cantine in Piazza, aka Wine Cellars in the Square, is actually the traditional prelude to the annual cooking competition A Tavola con il Nobile, Dinner is Served with Vino Nobile. 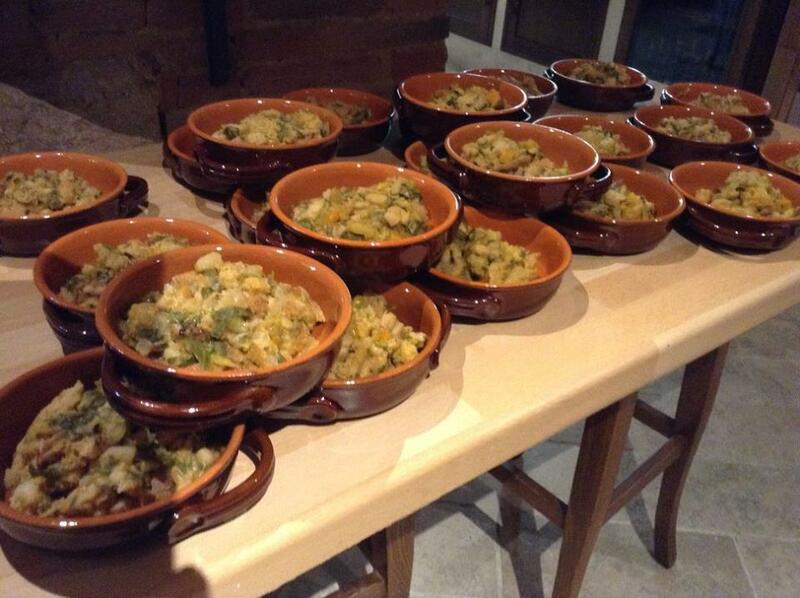 Underway since 2003, A Tavola con il Nobile is traditionally held on the second last weekend of the month with the intention to celebrate the quality of the typical local dishes exploiting the characteristics of the prestigious Montepulciano wines. The competition is amongst the eight quarters of town, who even reach the point of reinterpreting the recipes. The backdrop of both events is the magnificent Piazza Grande which will host the stalls of the wineries belonging to the Consorzio del Vino Nobile. 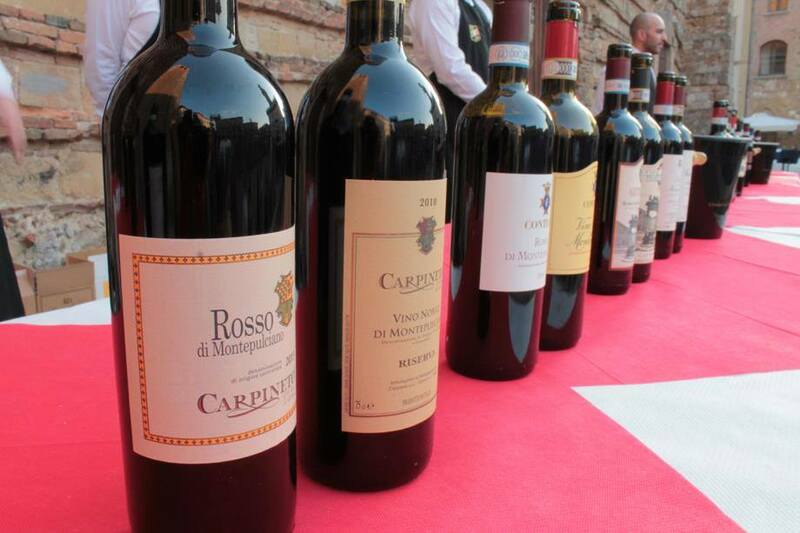 Visitors and wine lovers from all over the world will have the opportunity to taste Vino Nobile DOCG, Rosso di Montepulciano DOC and other excellent wines of the territory. 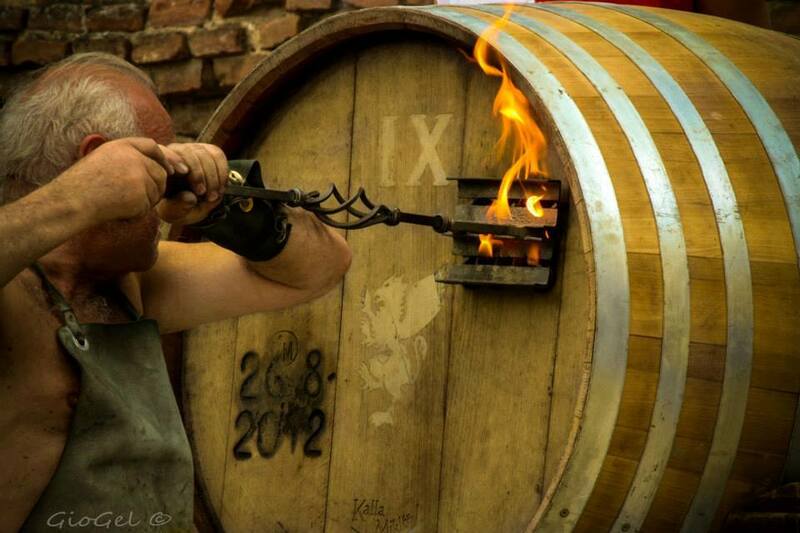 This evening is just the first of a week packed with food and wine, as well as cultural, activities leading to the climax of the month: the Bravìo delle Botti, the barrel race which this year takes place on August 30th. The whole show kicks off on August 22nd with a pageant held by the eight town quarters through the town centre reaching Piazza Grande where this year’s Gonfalonier will be nominated. 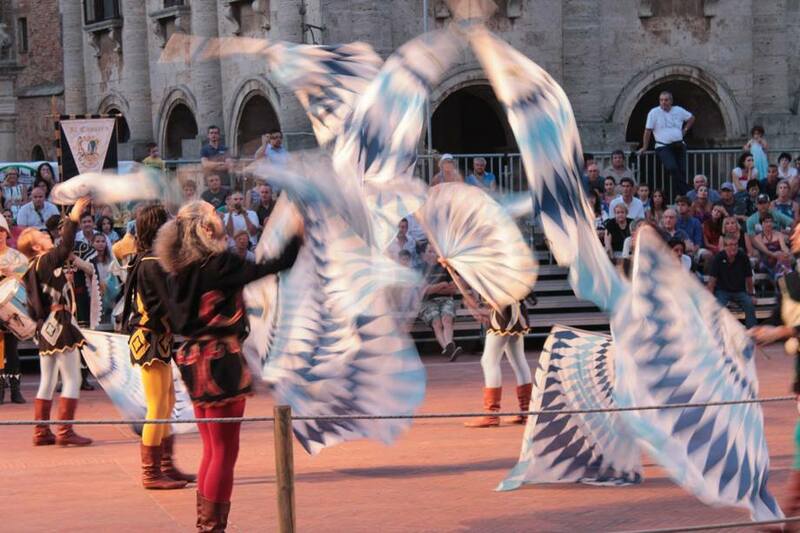 Following is a huge party with the flag wavers and drummers of Montepulciano entertaining everyone. The next day, the 23rd, the flag wavers and drummers will again be protagonists leading another pageant to the Poliziano Theatre where the Bravìo, a painted banner for which the quarters will compete, will be presented. The banner is then exposed and the flag wavers and drummers continue their merrymaking. 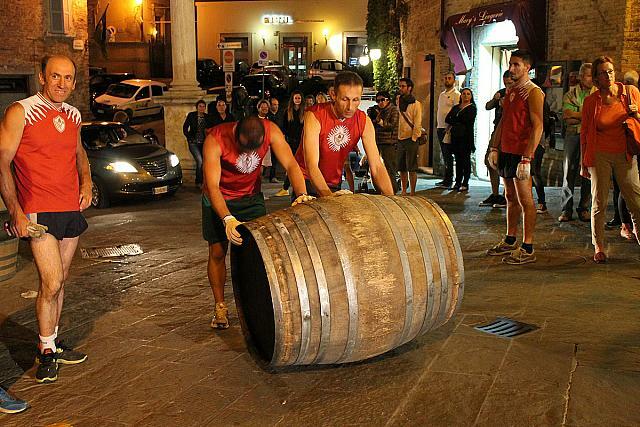 From that evening until the 28th the quarters will have the opportunity to nightly ‘exercise’ their barrel pushing up the steep central streets of Montepulciano. It might be useful to mention that these casks weigh 80 kilos! The teams are two-manned and the players are known as spingitori. On the evening of the 27th the pageant of the Candle Procession ambles through the historic centre ending in fireworks show and much flag waving and drumming. On the morning of the 30th the standard bearers and participants of each quarter exit Palazzo Comunale. 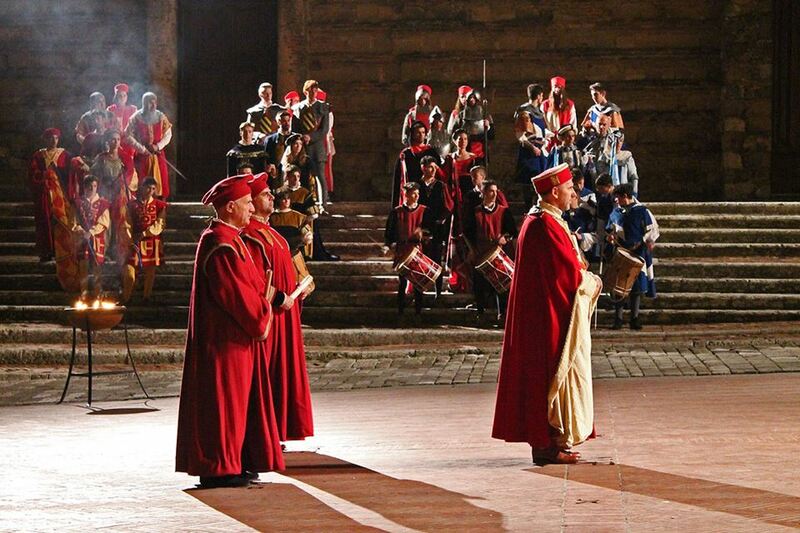 Then the heavy barrels are marked by fire and the flag wavers entertain in front of Montepulciano’s Cathedral. A series of other events amongst which the offer of the candles fill the rest of the day until the race itself starts at 7 pm. 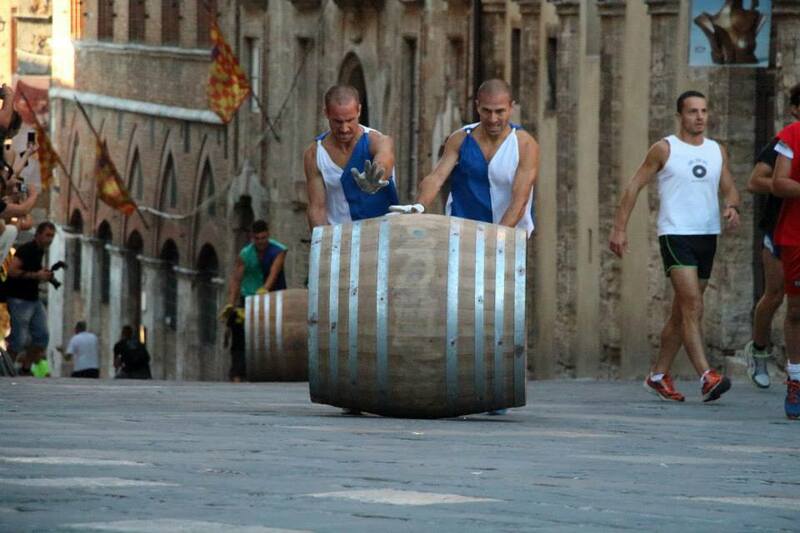 One has to admire the strength of the spingitori as they roll these heavy casks up a steep route that is nearly two kilometres long (little more than a mile) until the Cathedral’s parvis. The winning quarter takes the painted banner and the whole town celebrates the victors all night long. 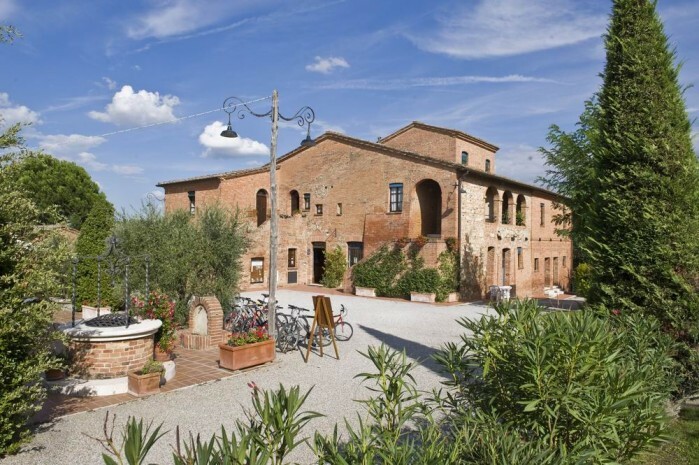 An exceptional way to make August and the holiday’s roll on, perhaps in one of our holiday accommodations around Montepulciano such as this lovely farmhouse with self catering holiday flats and swimming pool. The perfect place to relax and savour excellent wines while surrounded by the vineyard covered hills of Montepulciano. Questa voce è stata pubblicata in Accommodations in Valdichiana, Culture and accommodations in Tuscany, Events in Valdichiana, Folklore and accommodations in Tuscany, Tuscan food and wine, Tuscan wineries e contrassegnata con A Tavola con il Nobile, Bravìo delle Botti, Calici di Stelle, Cantine in Piazza, Montepulciano, Rosso di Montepulciano DOC, Super Tuscans, Vino Nobile DOCG. Contrassegna il permalink.